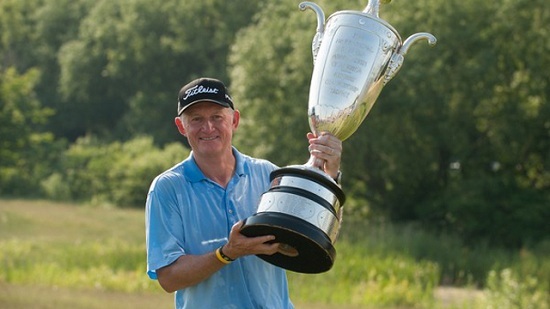 Sportingclass are excited to add legendary golfer Roger Chapman to their growing team. Roger Chapman will bring a wealth of golfing knowledge to Sportingclass, having spent 35 years as a Professional Golfer playing around the world. This appointment follows soon after the recent addition of ex Falcon, Saracen & England rugby hero Hugh Vyvyan to the team, showing Sportingclass’ intent to fortify their foothold within golf and rugby. Roger’s first professional victory came at the 1988 Zimbabwe Open, at the appropriately named Chapman G&CC where he beat Vijay Singh on the last hole. He amassed an incredible amount of 2nd place finishes on Tour before winning the Rio Brazil Open in 2000. Altogether Roger has accumulated 5 wins worldwide. He reached the milestone of 500 Tour appearances in 2001, finally playing in over 600 events on the main Tour. Roger started his Senior Tour career in 2009 in Europe and achieved 12 top ten finishes in 32 events including two second places, and two thirds. He qualified for the United States Champions Tour in 2011 and won the USPGA Senior Championship in 2012 in fine style, beating a full international field. He became only the fourth player to win these two Majors in one season alongside Gary Player, Jack Nicklaus, and Hale Irwin. He was also recognized as the ‘2012 Golf Writers Association Champions Tour Player of the Year’ and was made an Honorary Life Member of the European Tour. Sportingclass have been running corporate golf days and tournaments since 2002. They ran their first Senior Tour Event at The London Club, The London Senior Masters from 2005 to 2007. They will also manage, for the next 3 years, the new Senior Tour event – The Willow Golf Classic at Hanbury Manor on behalf of the benefactor, also championed by legendary England footballer Bob Wilson. Clients taking golf days through Sportingclass include American Express, Salesforce, Gaucho, Home House, Heineken, Greene King, The PCA (Professional Cricketers Association) and The RPA (Rugby Players Association). For more information on corporate golf days and the Sportingclass Industry Invitational, contact Sam Parsons on 0208 734 3884 or Email Sam.